The Advanced SEAL Delivery System (ASDS) is a long-range submersible capability to deliver special operations forces for clandestine missions. ASDS provides improved range, speed and payload, and habitability for the crew and a SEAL squad. 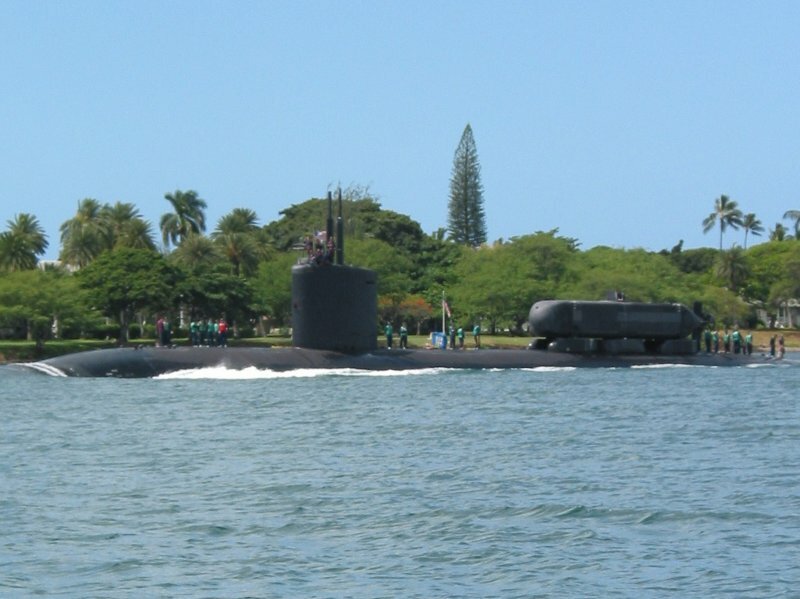 ASDS will be carried to its designated operational area by a host ship, a specially configured SSN-688 Class submarine. The ASDS can be carried by six specifically modified LOS ANGELES Class SSNs, all VIRGINIA Class SSNs, and also SSGNs (if SSGNs are made operational). ASDS will also be air transportable by either C-5 or C-17 aircraft. A total of six ASDS were to be built for USSOCOM. The Advanced SEAL Delivery System was designed to reduce the risk to Navy Special Operations forces (SEALs) when required the transit from a submarine to shore. ASDS permits long-range special forces operations. It also enhances the effectiveness of the insertion teams by delivering them to their destination rested and better equipped as well as the means of conducting shore surveillance prior to landing. 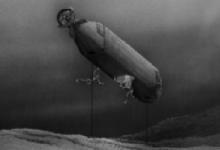 The ASDS is a one atmosphere, dry, combatant submersible. The submersible will be capable of operating independently or with other existing Navy ships. The ASDS is capable of at sea operations as well as littoral, including diver lock-in/lock-out. ASDS has a dry chamber that can carry up to 16 SEALs or EOD and allows Naval Special Warfare teams to arrive near their target with only a short swim or immersion. The development of the ASDS emphasized conformance to SOF mobility and insertion requirements for a warm/dry environment with longer-range endurance than the existing SEAL Delivery Vehicle (SDV). 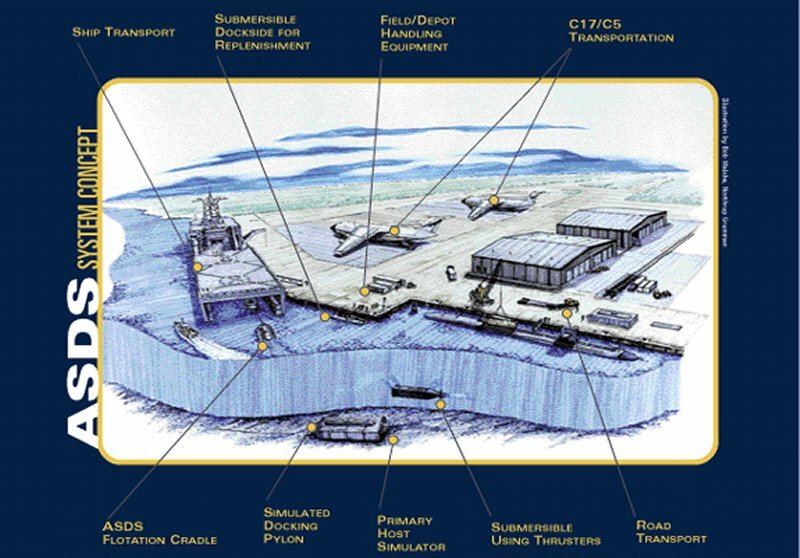 Other features of ASDS include SOF lock-out/lock-in capability, a resistance to underwater shock, low acoustic signature, land, sea and air mobility, and covert transport and insertion by a host attack submarine. Its advanced sonar systems and unique electro-optical systems will provide a new level of undersea situational awareness to the embarked SEAL team, and allow them to conduct shore surveillance prior to landing. The combatant submersible provides a one-atmosphere, dry environment for SOF personnel and equipment and interfaces to host submarines. 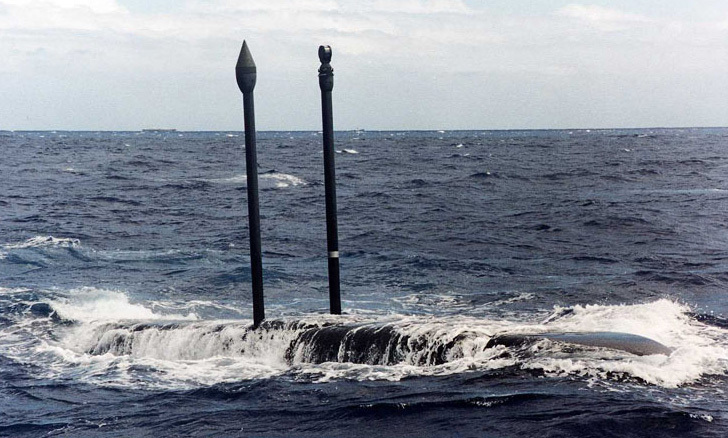 ASDS has a full communications suite connectivity similar to a Los Angeles class submarine; a deployable periscope provides optical sighting and forward-looking sonar for mine detection, navigation, and collision avoidance in the littorals. 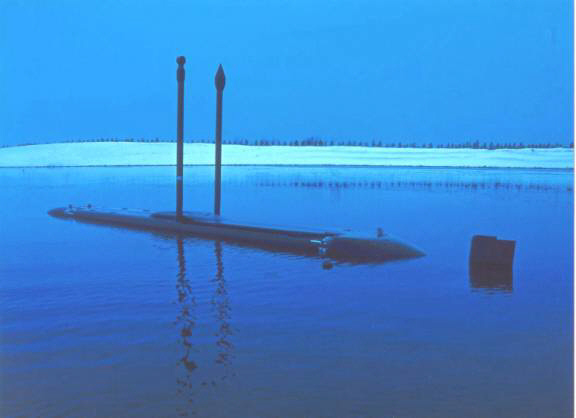 Submarines are converted with latching pylons and a hatch in order to host the ASDS for transport to mission areas. Once the mission is completed and the SOF team is retrieved, the vehicle navigates back to the host submarine and re-attaches using these special locking mechanisms. Once ASDS is properly mated to its host, personnel and equipment can be transferred, similar to current practice with a Deep Submergence Rescue Vehicle (DSRV). Specialized equipment will permit small, highly trained forces to conduct required operations across the entire spectrum of conflict. These operations are generally conducted in harsh environments, for unspecified periods and in locations requiring small unit autonomy. SOF must infiltrate by land, sea, and air to conduct unconventional warfare, direct action, or deep reconnaissance operations in denied areas against insurgent units, terrorists, or highly sophisticated threat forces. The requirement to operate in denied areas controlled by a sophisticated threat mandates that SOF systems remain technologically superior to threat forces to ensure mission success. ASDS is designed to provide for rapid lock-out/lock-in of SOF and includes an aft compartment full hyperbaric chamber for the treatment of injured personnel. High-endurance silver-zinc batteries provide onboard power. 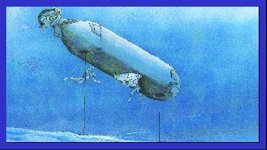 The submersible displaces 60 long tons with a beam of 6.75-feet, a height of 8.25-feet, and overall length of 65.2 feet. Propulsion is provided by a 62-horsepower electric motor driving a shrouded rear propeller and two forward and two aft thrusters for fine maneuvering. ASDS is crewed by two pilots, a submariner in command, and a SEAL co-pilot who is responsible for coordination of mission-specific planning and operations with the embarked SOF unit. The Pilot is responsible for controlling the vehicle; he's doing the ballast and trim, and he's working on safe navigation and piloting. Co-pilot responsibilities include life support, lock-in/lockout systems, and sensor systems, as well as communications. There is something of a division of labor in normal operations, but the two cross-train so they can cover each other's jobs when the need arises. Despite the extensive experience and training required to operate the vehicle, ASDS is relatively simple to operate. 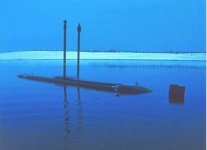 This manned dry interior battery-powered submersible is managed by the NAVSEA PMS 395 Deep Submergence Directorate and developed by Northrop-Grumman Ocean Systems. A component of Northrop Grumman's Baltimore, MD-based Electronic Sensors and Systems Division, Oceanic Systems employed approximately 700 people engaged in designing, producing, testing and supporting some of the world's most sophisticated undersea systems. A detailed design and manufacturing development contract was awarded in FY 1994. The program was initially projected to cost $527 million [constant 2004 dollars, $281.7 million in 1994 dollars], but by 2004 it was predicted to rise to $1,876.6 million. The US Special Operations Command initially funded procurement of three ASDSs, later increaed to a total of six. The first was inititally planned to complete integration in late 1999 and enter service in 2000. 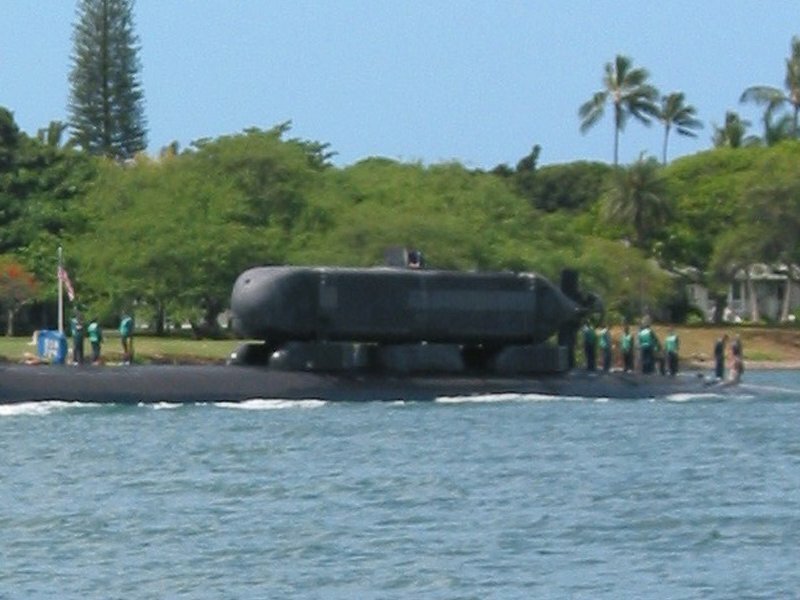 It was homeported with SEAL Delivery Team One (SDVT ONE) in Pearl Harbor, Hawaii. A post shakedown availability was conducted by USS GREENEVILLE (SSN 772) at Newport News Shipbuilding and Drydock Company from August 1996 through February 1997 to conduct various alterations to improve noise quieting, equipment reliability and install support systems for the Deep Submergence Rescue Vehicle and the Advanced SEAL Delivery System. GREENEVILLE became the Pacific test platform for the ASDS. This program remaind a top warfighter priority at SOCOM. As of early 2002 construction of five additional ships was scheduled to begin in Fiscal Year 2002 at a rate of one ship every other year. 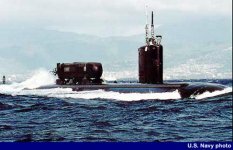 In September 2002 USS Greeneville (SSN 772) successfully launched and recovered the Advanced SEAL Delivery System (ASDS), marking the last significant test of the system before its operational evaluation. This test involved successful multiple launch and recovery docking scenarios with Greeneville. The Navy took delivery of its first ASDS in July 2003. At the time, only the USS Greenville and USS Charlotte were configured to host the ASDS. Working towards Initial Operational Capability was particularly challenging in a first-of-its-kind, state-of-the-art submersible such as ASDS. Operational and maintenance schedule was pretty fluid, and was driven by the testing program. An initial Selected Acquisition Report (SAR) was submitted for ASDS following designation as a Major Defense Acquisition Program (MDAP) in April 2003. ASDS was designated an Acquisition Category (ACAT) 1D Major Defense Acquisition Program in November 2004. An updated ASDS operational requirements document was approved in June 2004. The number of key performance parameters (those elements that are so significant that a failure to meet them could call into question a system's ability to perform missions) were reduced from 16 to 8, and they include one new requirement (operational availability). Other requirements are categorized as system critical requirements. Until all requirements are addressed, technical problems are solved, and testing is completed, ASDS's final design will remain uncertain and may have cost and schedule implications. The Navy completed an independent cost estimate, including life-cycle costs, in March 2004. However, data were not released, and the estimates were out-of-date because they do not reflect the impact of the 2-year delay in production of the second boat. According to the June 2004 Selected Acquisition Report, the U.S. Special Operations Command was preparing a new proposed program plan to account for the delay in the production decision and updated cost information was to be reported in the December 2004 report. However, according to the Navy's January 2005 update, the revised program plan and updated cost estimate will be developed, reviewed, and approved as part of the production decision, which had been delayed until December 2005. Since the program's first cost estimate was originally approved in 1994, research and development costs have more than tripled. OPTEVFOR evaluated ASDS operationally effective and suitable under certain specified threats and environments and provided several recommendations including necessary improvements to the battery, sensors, and logistical support. According to the DOT&E, ASDS maintainability and reliability was poor due to low battery service life, low charging and cooling rates, and electrical grounds. During OPEVAL, low main motor controller electrical grounds reduced the endurance and cruise speed and resulted in a loss of ASDS propulsion. Onboard crew repairs enabled completion the OPEVAL SOF mission; however, had the crew been unable to affect at sea repairs, the ASDS could have been stranded and required safety ship assistance. Also, during transit in a forward site exercise, the ASDS sustained damage. One of ASDS's three critical technologies - the lithium ion battery - had not reached maturity, and the first boat required some design changes. The production decision was delayed from June 2004 until December 2005 to allow time to produce and test a new battery and develop and test other vehicle design changes. The Navy selected a design for the lithium ion battery and, in May 2004, it awarded a contract to develop a full shipset unit for ASDS. Battery production would take about 1 year, and at-sea demonstration was expected in fiscal year 2005. Concurrent with battery replacement, other vehicle improvements were being developed and tested and design problems are being addressed. Acoustic signature issues are being addressed; however, this requirement did not have to be met until delivery of the second ASDS boat. FY2005 activities included developing improvements to ASDS #1 to correct acoustic, reliability (includes unexpected tail section redesign) and maintainability deficiencies. Of the three critical technologies identified by the ASDS program office, one - the lithium ion battery - had not reached maturity. However, it was expected to be mature before the December 2005 production decision for additional boats. 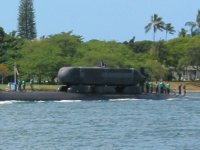 Acoustic, or noise level, problems were being addressed; however, the first boat is not quiet enough to meet acoustic stealth requirements. In earlier tests, the ASDS propeller was the source of the most significant noise, and a new composite propeller was installed before operational test and evaluation in 2003. 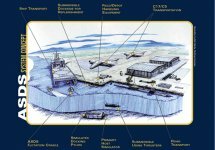 Although program officials believed it met requirements, precise acoustic measurements had not been made as of late 2004 and were not scheduled to be done before the production decision in early FY2006. Other acoustic issues would be addressed on a time-phased basis because the acoustic requirement has been deferred until delivery of the second boat. Although all engineering drawings for ASDS had been released to manufacturing, ASDS design changes had been required based on additional improvements, test results, and other issues since ASDS reached initial operational capability in November 2003. An assessment of ASDS survivability design features is also underway; however, the Vulnerability Assessment Report was not completed until April 2005. The Navy planned to conduct follow-on testing to verify that deficiencies and vulnerabilities identified during the May 2003 operational evaluation are corrected. However, not all results would be known before the scheduled production decision. In spite of these problems, the ASDS is a clear improvement over the SDV. It has a dry, warm environment, onboard sensor and communications equipment, greater speed, range endurance, and payload capacity. ASDS advantages over the current SEAL Delivery Vehicle, a wet submersible, include greatly increased range, increased payload and passenger capacity, state of the art sensors and communications, the ability to loiter in a target area, and protection of personnel from complex dive profiles and exposure to long cold water transit. Milestone C was scheduled for first quarter FY06. Milestone C decision from USD (AT&L) would allow procurement of follow on submersibles (ASDS), with a total of one developmental boat and five production. In October 2005, a propulsion system casualty occurred during follow-on test and evaluation. As a result, the ASDS program was restructured in November 2005. The procurement of ASDS-2 and ASDS-3 was postponed in order to concentrate on reliability and technology improvements to ASDS-1. Funds were realigned to operate and sustain ASDS-1, improve reliability, address obsolescence through technology insertion, and conduct concept studies. Program costs decreased $463.3 million (-38.6%) from $1,201.0 million to $737.7 million, due primarily to the cancellation of the ASDS acquisition program (-$495.5 million). This cost decrease was offset by addition of funding for the ASDS-1 Improvement Plan (+$69.4 million). As of early 2006 Milestone C had been indefinitely postponed. The Advanced SEAL Delivery System (ASDS) submersible suffered major damage during a fire 09 November 2008 while the craft was recharging its lithium-ion batteries at a special base in Pearl Harbor, Hawaii. No one was severely hurt in the accident, but the fire burned for several hours before it was extinguished. The Navy estimated repairs to the 60-ton craft would cost $237 million, or $180 million more than the craft's operating budget, and take nearly three years to complete. On July 24, 2009 SOCOM issued a news release stating that competing funding priorities prevent the command from repairing ASDS.